Mary’s 86-year-old mother Eileen has been living with her and her family for the past two years. Eileen is a widow with mild dementia. She is pleasant, communicative, and able to perform simple ADLs. Mary’s husband and her adult children help provide support, while Mary provides most of the caregiving tasks. Last week Eileen developed a respiratory infection. Mary brought her to the primary care physician. She was diagnosed with a respiratory infection, then prescribed antibiotics and a cough suppressant. Mary administered the medications as ordered. However, on the second day of the medication, she noticed that Eileen had a “confused look”. Eileen did not participate in conversation as she usually did. During the night, she was restless and did not sleep much. She told her daughter that during the night, she visited with her sister, who had passed away several years ago. On day 3, Eileen did not sleep and was increasingly confused. After 4 days of watching her mother’s confusion increase, Mary brought her mother to the Emergency Department. She was admitted to the hospital. Two days after admission, Eileen returned to baseline. The combination of an acute infection, dehydration, and an over the counter decongestant were determined to be the cause of the delirium. Mary had not heard of the term “delirium” before her mother’s diagnosis and had no idea what it was. She was not aware of delirium risk factors or the signs and symptoms of delirium. More than 96% of older adults reside in the community (Centers for Disease Control, 2004) and many of them suffer from Alzheimer’s disease or other dementias. This group of older adults are particularly prone to delirium. Delirium is a common occurrence among older adults, particularly among those with pre-existing brain disease such as dementia. Unlike dementia, which is a chronic, slowly progressing state, delirium is an acute, fluctuating state of confusion that can often signal an emergent health issue (Inouye, et al., 1990). 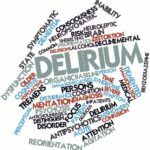 Delirium may be preventable and the underlying cause treatable, especially when recognized early. The Confusion Assessment Method (CAM) algorithm is the standard tool for the identification of delirium by trained professionals. 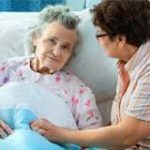 It has become increasingly apparent that family caregivers also need to have the ability to recognize delirium. The Family Confusion Assessment Method (FAM-CAM) is an important tool to help family caregivers identify delirium (Inouye, et al., 1999; Inouye & Charpentier, 1996). Family caregivers are an underutilized resource and can collaborate with clinicians in delirium prevention and recognition among community dwelling older adults. Family caregivers have important information regarding the signs and symptoms of delirium, especially subtle changes in behavior or mental status (Keyser, S. E., Buchanan, D., & Edge, D. 2012). It is important that clinicians provide family caregivers with delirium education about the risk factors, prevention, and the use of the caregiver delirium-screening tool, FAM-CAM. Dr. D’Avolio is an alumni of the 2016 CEDARTREE-NIDUS Delirium Boot Camp. Click here to learn more about this program. Posted in NIDUS Blog and tagged cognitive decline, Delirium, delirium research, education.